Being kind and spreading kindness is not easy. It doesn’t happen overnight. But it is worth a shot. To be continually kind is tough. 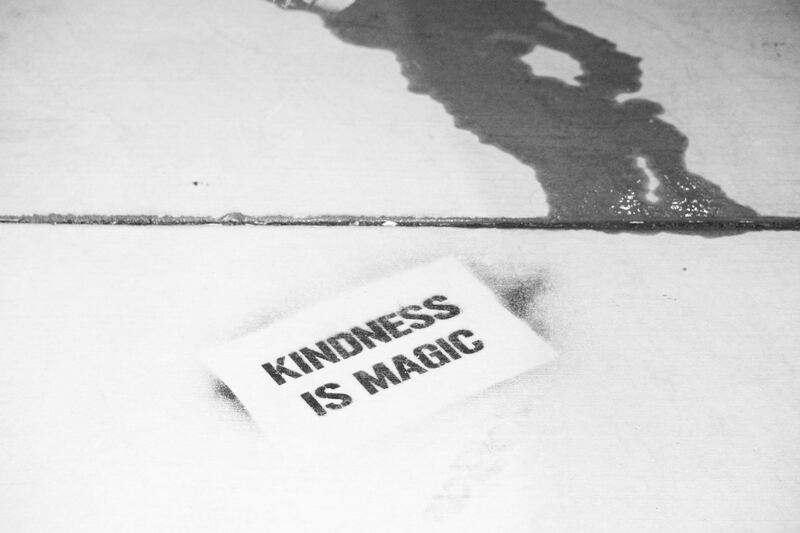 But the results of being kind are remarkable. In a self-centered society like ours, it is not easy coming across people who are genuinely and purely kind and have the innate quality to spread positivity all around them. Have you ever yourself tried spreading kindness among others? Yes, compassion is a funny expression and may not necessarily fascinate you. But it hardly takes a second to put a smile on someone’s face through a compliment, a small gesture or a simple ‘hi’! Smiling at random people isn’t crazy. In fact, it helps create positive vibes. Smile because you want to and feel like, not because it will make a good impression of you in front of everyone else. Also, always greet people with an enthusiastic ‘hello.’ Be it over the phone or in person, don’t forget to be full of life while greeting anyone. Sometimes, it is essential to lend an ear to those who desperately need to vent out their feelings. In these types of situations, just being there with full attention is all that matters. Have a conversation with that person to understand the problem better. This is, indeed, a simple way of getting a clear perspective of things. Make that person feel wanted or loved in such times of distress. If you are not into complimenting others, now is the time to start. It is never wrong to say beautiful things about people you may or may not like. If someone is looking lovely, say it. If someone has come up with a good idea at work, appreciate it. If someone has cooked a nice meal for you, show your gratitude. A positive one-liner won’t harm you or cost you much time! Whether it is covering up for your colleague at work or lending money to a relative in need, offer a helping hand wherever you can. Your support may not necessarily change that person’s current situation, but small yet comforting gestures from your side would mean the world to him or her. Judging or making presumptions about someone or something is a human trait that comes out unknowingly. The frequency or intensity of which may differ from one person to another. Hence, make a conscious effort to stop yourself from doing that. Put yourself in the other person’s’ shoes to try and see the situation from their perspective. It’s quite easy to resort to unkindness. Don’t do that. Be wise. Go through all your possessions. Make a list of clothing, shoes, books and other items you don’t require anymore. Donate those things to someone who needs them more than you do. While giving away your belongings, tell yourself that the other person will also get a chance to feel the same comfort as you and create his or her happy memories. Be humble. Thank your stars for all the privileges you have and the comfortable life you are living. Use your position to better someone else’s life. If a person has done something for you, thank him or her. No matter how vital or minuscule the task was, it is important to show gratitude to that person. Don’t do it because it is expected of you, say it because you mean it and feel grateful towards that person. Saying ‘thanks’ from the heart speaks volumes. Whether it is a new colleague at work or a new addition to your family, make sure you are polite and friendly towards them. Make them feel comfortable. You never know this might lead to the start of a new life-long friendship. Be accepting of other people. Don’t be too harsh on yourself. Everyone has flaws, and it is easy to self-bash every once in a while. A simple way to be kind to yourself is to make a note of three qualities that you love about yourself. The point is that you can’t be kind to others if you are not kind to yourself. It may seem simple to look past your faults and flaws, but it is not, especially if you have a healthy conscience. Therefore, it is important to be accepting of yourself. Lastly, be patient with not only yourself but also the people around you. Spreading kindness is a difficult job, and the journey to being kind is often tricky. But in the end, it is a soul-satisfying mission. Hence, have the patience to accept people as they are, keep away from over-constructive criticism of others and spread kindness even in the darkest of times. A pure and kind soul is the one who makes the world a better place to live in beyond all the negative aspects attached to life. As philosopher Seneca the Younger once articulately put, “wherever there is a human being, there is an opportunity for a kindness”; grab that opportunity one step at a time generously.